French Android OEM Archos has just announced the upcoming availability of four new smartphones for the European market: Diamond Gamma, Diamond Alpha, Sense 55S, and Sense 50X. All four will be launched on the market this summer during of the month of July. The most expensive of the four, Archos Diamond Alpha will cost €299 (after a cash discount of €50), while the Archos Sense 55S will be available for purchase for €249 outright. Next in line, Archos Diamond Gamma is priced to sell for €199, whereas the cheapest of the four, the rugged Sense 50X will be up for grabs for €169. As some of you will probably notice from the pictures attached to the story, the two Archos Diamond smartphones have been entirely designed by Nubia. In fact, they look like rebranded Nubia smartphones, which is not a bad thing at all. The Diamond Alpha has a 5.2-inch display with full HD (1080p) resolution and Corning Gorilla Glass coating, as well as a dual-camera setup (monochrome + RGB) with Sony IMX286 sensor. There's also a secondary 16-megapixel selfie camera on the front side. Archos' high-end smartphone is powered by a Qualcomm Snapdragon 652 processor, coupled with 4GB RAM and 64GB expandable storage. The Diamond Gamma sports a larger 5.5-inch display with HD (720p) resolution, and a 13-megapixel primary camera with Samsung sensor. 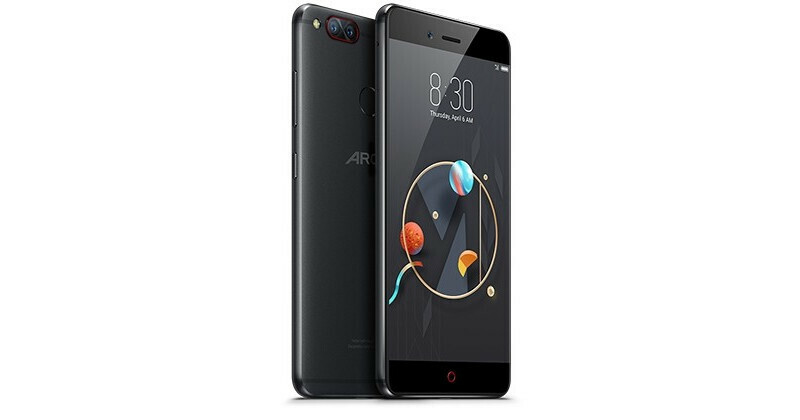 The phone comes equipped with a Qualcomm Snapdragon 435 processor, 3GB RAM, and 32GB internal memory. A 3,000 mAh battery is included as well, along with a secondary 5-megapixel selfie camera. 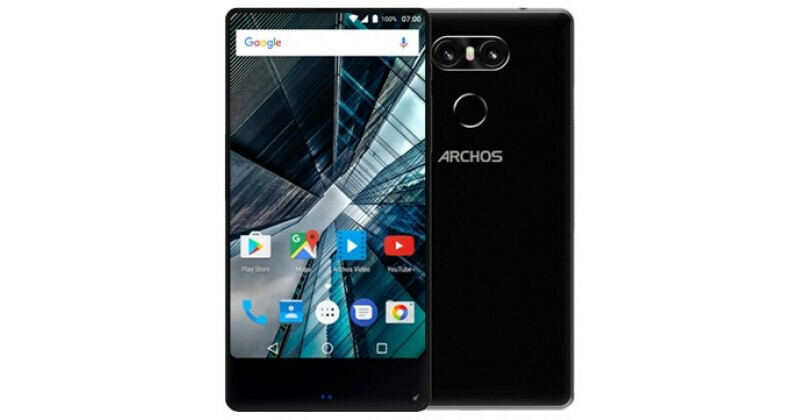 The third Archos smartphone announced this week, the Sense 55S packs a similar 5.5-inch display with HD (720p) resolution but features just 2GB RAM and 16GB storage inside. The good news is the Sense 55S has an 8-megapixel primary dual-camera and a fingerprint sensor on the back. 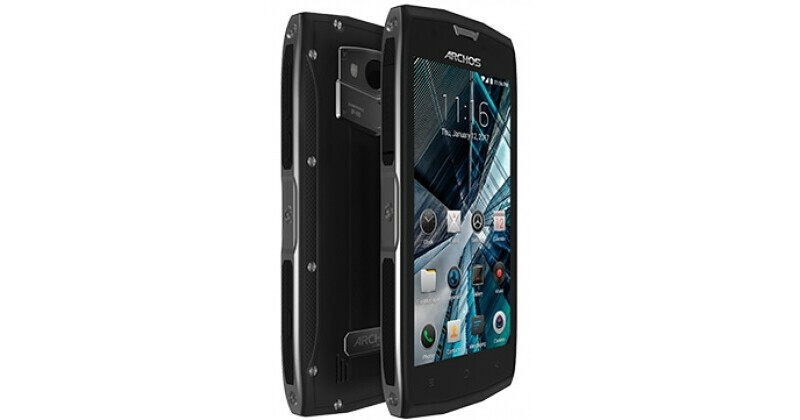 Last but not least, Archos Sense 50X is a rugged smartphone that features IP68 certification. It's equipped with a quad-core 1.5GHz MediaTek MT6737T processor, paired with 3GB RAM and 32GB internal memory. Also, it sports a 5.-inch HD (720p) display with Corning Gorilla Glass, along with a 3,000 mAh battery. All four Archos smartphones will ship with Android 7.0 Nougat operating system right out of the box, but it's unlikely they will be available outside Europe at launch. I'm still waiting for something that would be like a waterproof, flagship version of that Archos 55S there. Or, you know, a new Sharp EDGEST flagship. Except they started making iPhone clones.